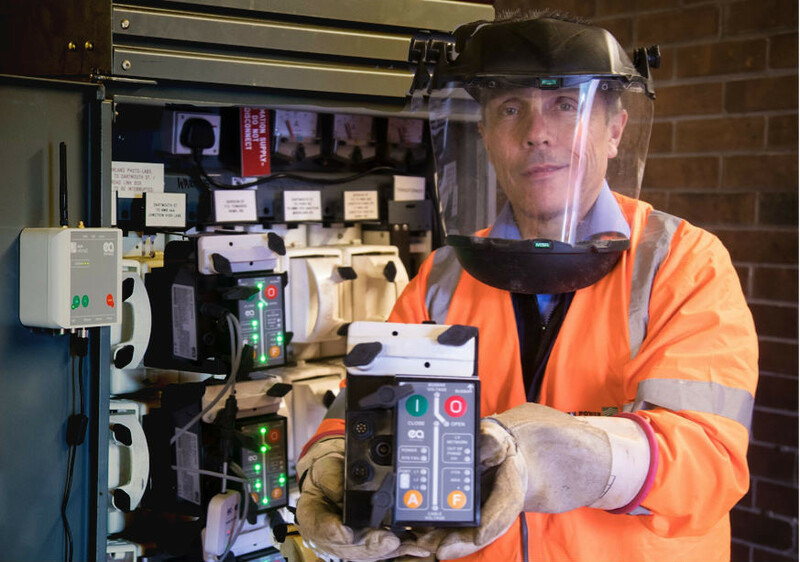 ALVIN Reclose is the next generation of supply-restoration reclose equipment, providing Network Operators with invaluable support in reducing costs and delivering better customer service. ALVIN Reclose meets the immediate needs of Network Operators to improve customer service on ageing, low voltage networks, while providing the foundation for future automation and communication schemes. EA Technology’s ALVIN Reclose is the most advanced, compact, cost-effective solution available on the market enabling intelligent automation and fault restoration on low voltage electrical and cable networks. Steve and his team worked closely with EA Technology for 12 months and the team has since achieved 100% success rate in detecting issues where we have deployed the ALVIN on known faults and problem circuits. Stoke Engineering Specialist David Phillips gave a real case example of where the ALVIN has helped customers. “In early 2018 we received reports of flickering lights in Alrewas in the Stoke distribution patch. Power quality devices were fitted but no meaningful cause for the disturbance was found. The issue continued for several months. The device records the voltage and current waveforms associated with a collection of brief faults, which disappear (self-heal) before a fuse operates. The ALVIN fits in a standard low voltage holder and which, on detection of a fault, will break the circuit and disconnect supplies, wait for approximately thirty seconds, then reclose and reconnect the circuit. 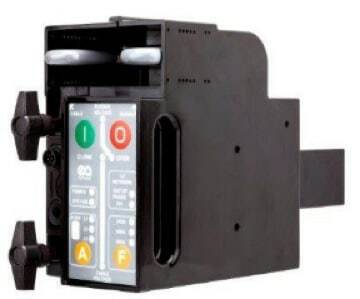 The ALVIN fits in a standard low voltage holder and which, on detection of a fault, will break the circuit and disconnect supplies, wait for approximately thirty seconds, then reclose and reconnect the circuit. 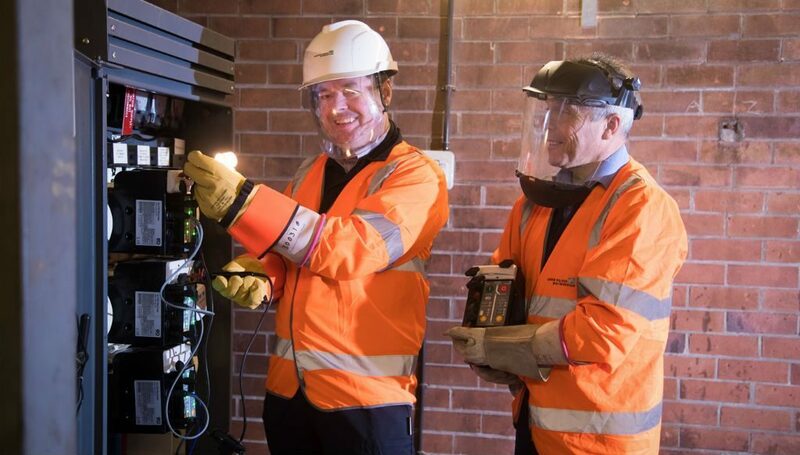 In 2017 EA Technology launched a new LV (Low Voltage) Cloud data service which enabled the voltage and current waveform visualisation and fault location service to be provided. We have had several sets of ALVINs since 2016. Approximately 12 months ago, we bought the communication equipment which enabled it to communicate to the LV Cloud. These sets have been distributed between Nottingham and Stoke depots where the ALVIN systems have been deployed to manage and locate problematic LV faults. David explained: “The waveform data is captured by the device and the status of customer supplies is confirmed by text or email. The severity and frequency of pre-fault activity can be used to indicate supply interference as well as implying the likelihood of an impending fault or probability of getting a good thermal reading or ‘sniff’ of fault gases to confirm the suspected location fault. Simple, retrofit installation with no hidden ‘start up’ costs means the low-cost ALVIN Reclose offers excellent cost/benefits justification. The only retrofit product with arc-less switching for improved network protection. 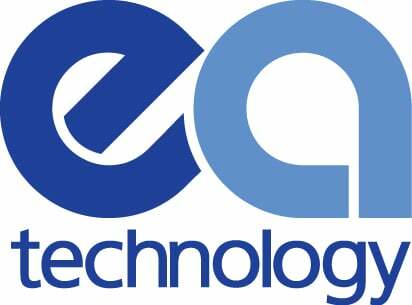 EA Technology are a global provider of end to end power engineering solutions and provide expert consultancy, innovative instruments, skills training, technical services and more. Established since 1985, T&D distribute the most extensive range of LV, MV & HV Cable Jointing, Terminating, Pulling & Installation Equipment – contact us today for a competitive quotation. 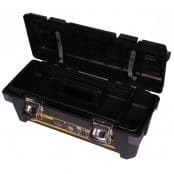 Key Products : MV Joints & Terminations, Cable Cleats, Duct Seals, Cable Transits, Underground Cable Protection, Jointing Tools, Feeder Pillars, Cable Duct, Earthing & Lightning Protection, Electrical Safety, Cable Glands, Arc Flash Clothing Protection & Fusegear. 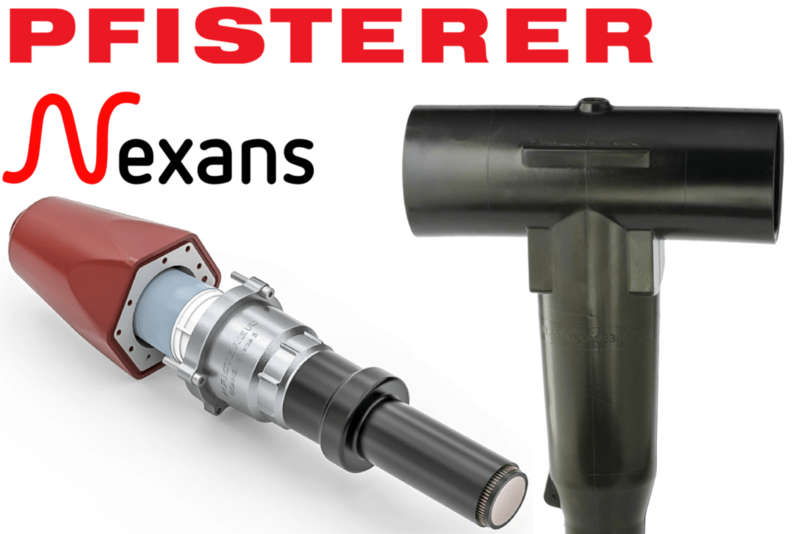 Distributors for : 3M, Pfisterer CONNEX, Nexans Euromold, Elastimold, Catu, Roxtec, Emtelle, Centriforce, Lucy Zodion, Alroc, Hivotec, Cembre, Prysmian, Ellis Patents, ABB & Furse.